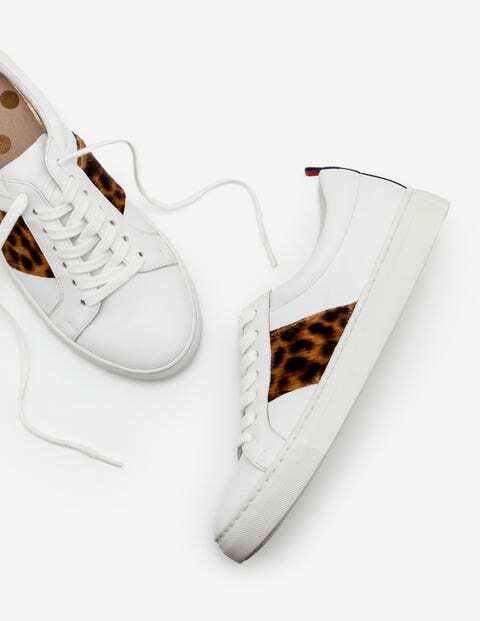 Make a statement in these trainers. Crafted from leather, they’re ready to bounce into action. We have tweaked the fit to make them even more comfortable. We've lengthened the laces so adjusting them couldn't be easier, to make them perfect for you. The contrasting colours keep things casual. They’re like your favourite classic plimsolls – only way better.